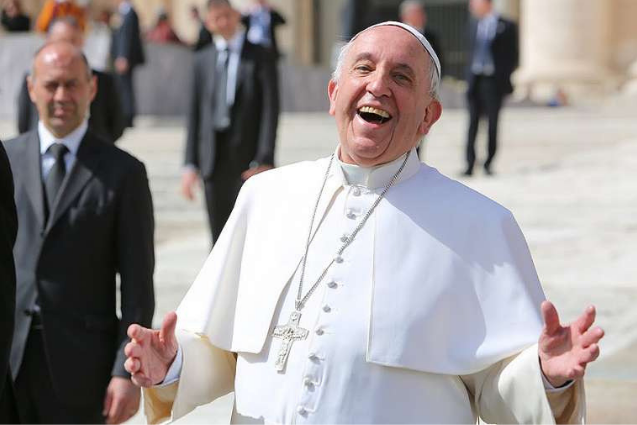 Throughout the apostolic exhortation, Pope Francis takes great care to avoid the temptation to lapse into error when talking about the importance of youthfulness in the Church. He wants to distinguish the joy of youth from a false cult of youth, a notion often used to manipulate young people. For example, he argues that to be truly wise, a young person must both be open to the future, and capable of learning from those who have more experience. He urges the Church to break free from those things that entrap her in the past and cause her to grow old. However, he warns the Church against “thinking she is young because she accepts everything the world offers her … sets her message aside and acts like everybody else.” Later in the exhortation, Pope Francis warns against the error of confusing beauty with appearances, of a spirituality without God, and of the reduction of young people to a homogeny that refuses to acknowledge individual cultural identities. Pope Francis understands youth as more than a period of time. Youth, he asserts, is a state of mind. This is why an ancient institution like the Church can renew its youthfulness. He elaborates on what this looks like by setting up Mary as the “supreme model for a youthful Church” and by examining the witness of several “young” saints. In Christus Vivit, Pope Francis acknowledges three areas of particular importance that the synod examined: the digital environment, migration and abuse. His purpose is not to offer new conclusions, but to call for greater analysis and development of responses to these realities. He offers a message specifically to all young people, a message containing the three truths: God loves you, Christ sacrificed himself to save you and Christ is alive! Pope Francis believes that the profound appreciation of this message can lead to an encounter with Christ that is capable of sustaining one for the entirety of her/his Christian life. The pope suggests that living the years of our youth in the transforming light of the Gospel means acknowledging youth as a time of both dreams and decisions; of both living in the present moment and making the most of the opportunities life offers; of encounter with the friend who is Jesus; of growing mature physically, intellectually, and spiritually; of growing in generous and merciful love; of making a commitment to serve and transform the greater community; and of being a witness of the Gospel wherever one happens to be. At the same time, he is clear that youth is not an “in-between time.” Rather, the youth are the “now of God.” He then closes the exhortation with chapters on youth ministry, vocations and discernment. Pope Francis emphasizes that the whole community needs to be involved in the evangelizing of the youth, and that the youth must take on a greater role in pastoral outreach. He makes clear that young people themselves “are agents of youth ministry,” and identifies two main courses of action. How can we be more effective in our outreach? Trust the young people to find appealing ways to come together and use the grammar of love rather than the language of preaching at. What do we need to do here? Try to awaken and consolidate the experience of the encounter with Jesus, and include formation with the two main goals of developing the kerygma and of growing fraternal love, community life and service. Apostolic Exhortation: typically issued in response to a synod of bishops in which a pope encourages the Church to undertake a particular activity. Exhortations do not define Church doctrine and are considered less authoritative than papal encyclicals (exhortations are still more authoritative than other papal issuances such as audiences and homilies). Encyclical Letters: a general letter expressing the pope’s thoughts on matters of faith and morals. Encyclicals may be to the entire Church or to a particular Church or people. Encyclicals do not constitute ex cathedra (“from the chair”) pronouncements, i.e. they do not have infallible authority.